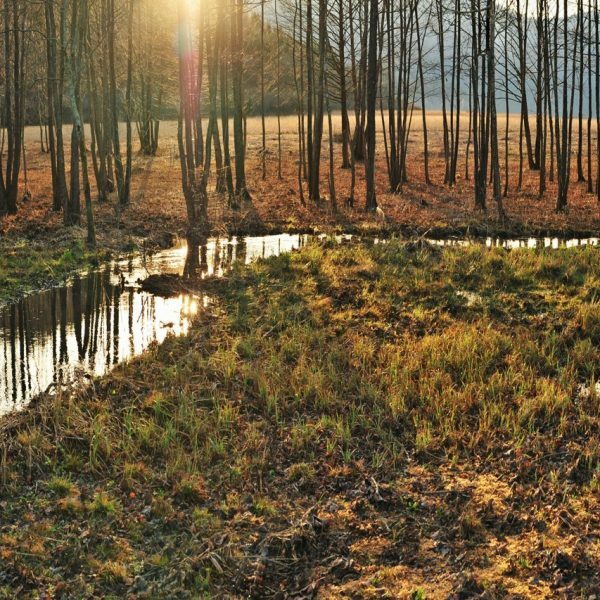 In the scope of this project we will redirect the watercourse Stržen in the area Ključi into its former natural double meander. 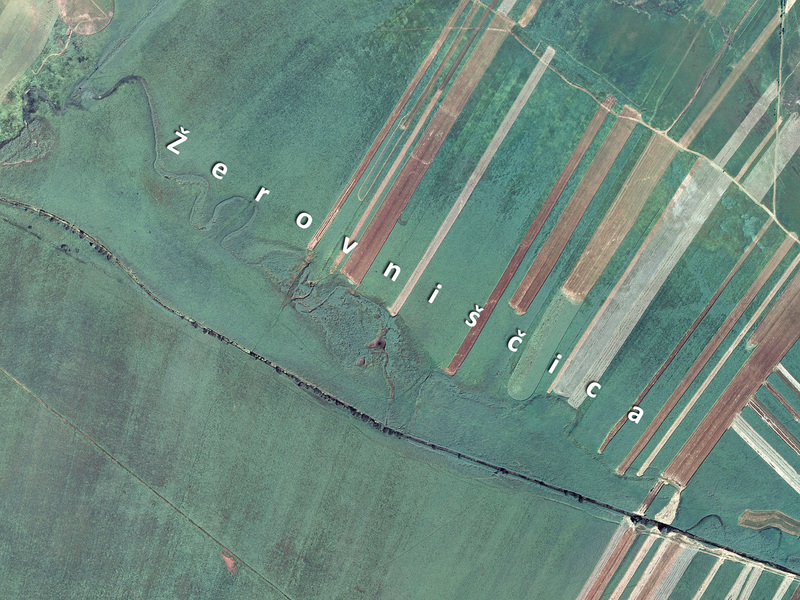 Between the years 1844 and 1958 about 12 km of the watercourses Stržen, Goriški Brežiček, Lipsenjščica, Tresenec, and Žerovniščica, which meandered over the lake bottom, were redirected into straight channels. 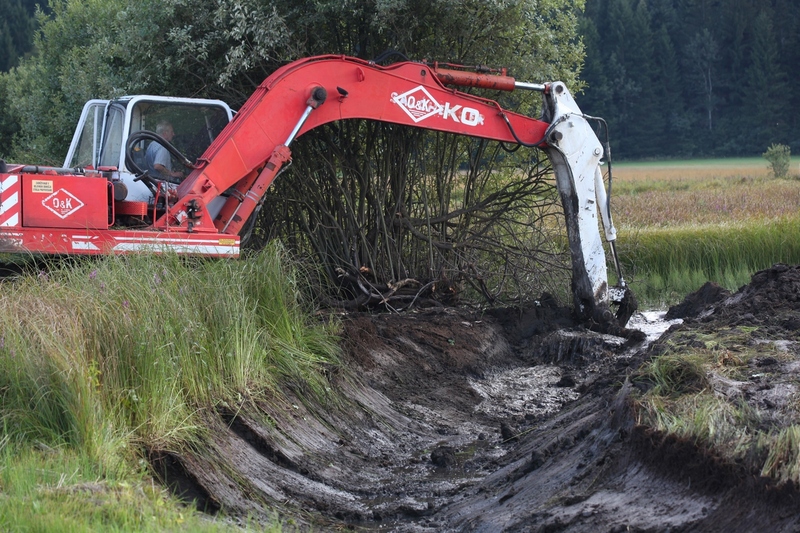 The goal of these interventions was to dry out the lake and obtain more land for agricultural use on the intermittent Cerknica Lake. 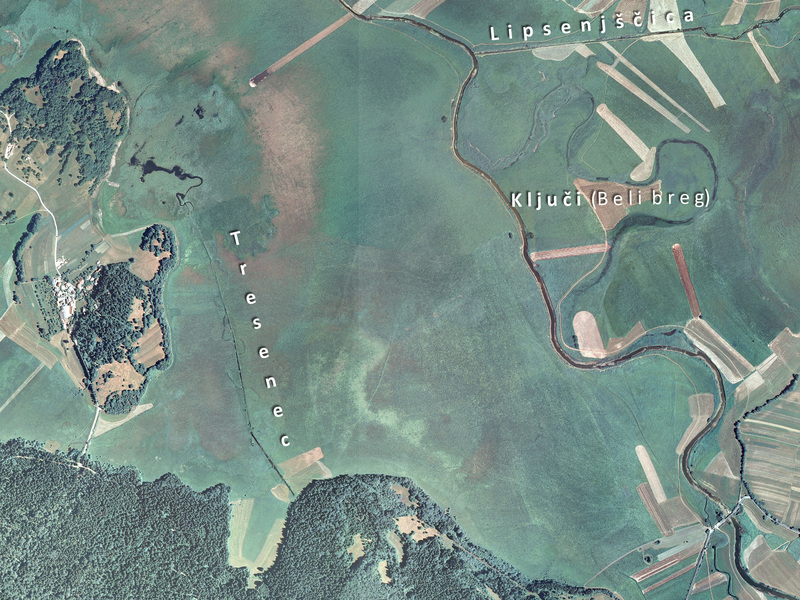 This goal was not achieved, since the lake soil remained too soaked for the successful growth of crops. Nevertheless, these regulations caused harmful changes in natural processes and drastically changed the ecosystem of the intermittent lake. Living conditions of species inhabiting aquatic and riparian habitat types have declined. Some species disappeared from the area entirely. Biodiversity and ecosystem stability was significantly reduced. 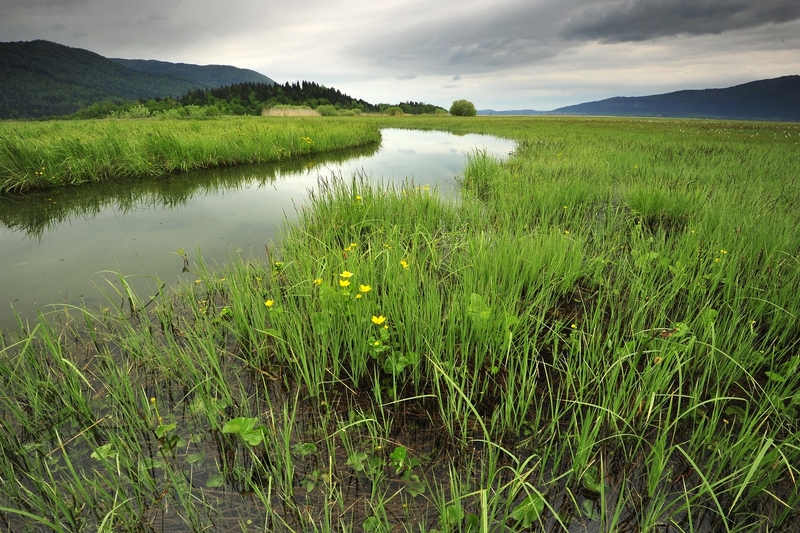 significant changes in water dynamics prevent the formation of oxbow lakes. Negative consequences of past interventions, exacerbated by drier summers, caused by climate change, are even more evident nowadays. The lake usually disappears several times a year, instead of once every couple of years, as it used to. 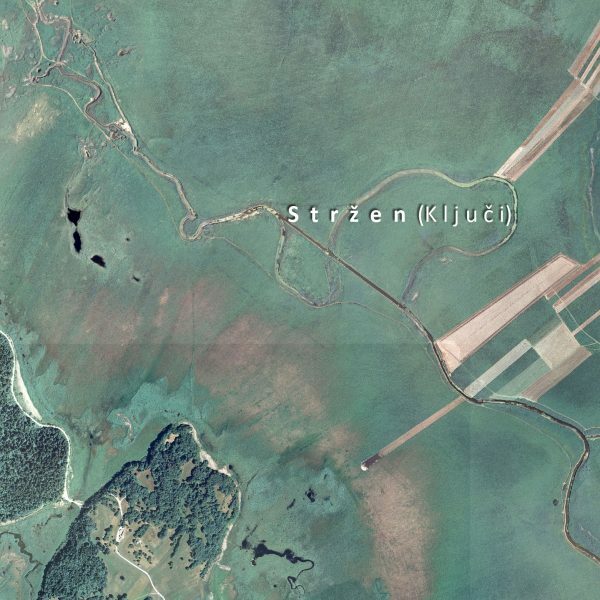 The significance of the restoration of Stržen in Ključi was recognized by the owners of the land surrounding the part of the watercourse which will be restored. They have expressed support for project activities. The regulations have been done on private land and have cut many plots of land in half, which prevents some owners access to their own land. 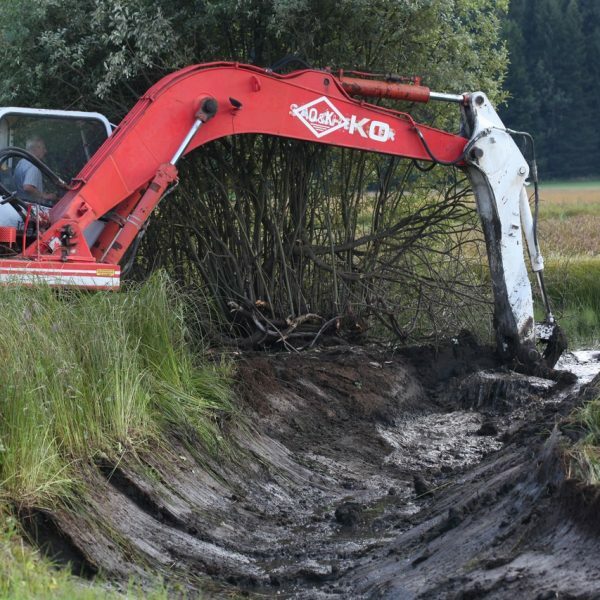 They have tried to overcome this obstacle by establishing new roads, culverts, etc. Redirecting the watercourse will solve this problem. The entire area will be restored and past access points will be re-established. 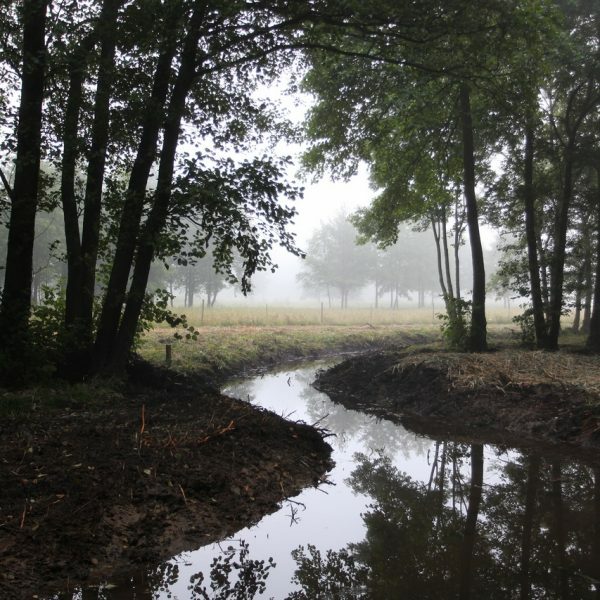 This way, all the landowners will be able to access their property and manage it as a whole. 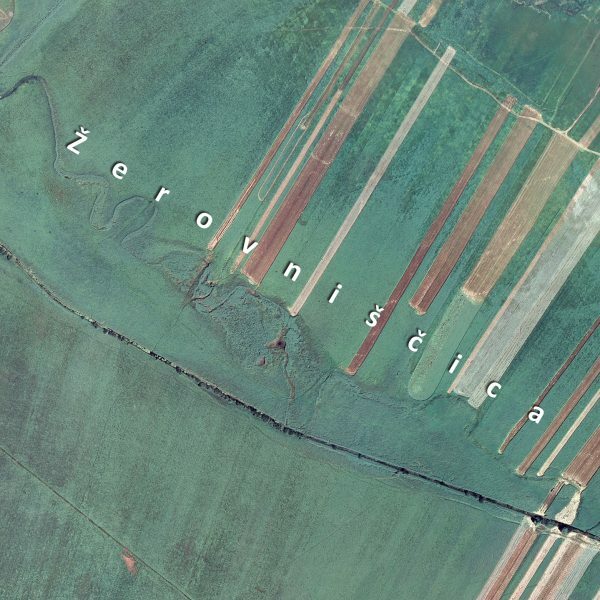 The total length of the watercourses on Cerknica field was 45 km before the regulations were implemented, but the total length of the straight channels into which the water was redirected is only 33 km. 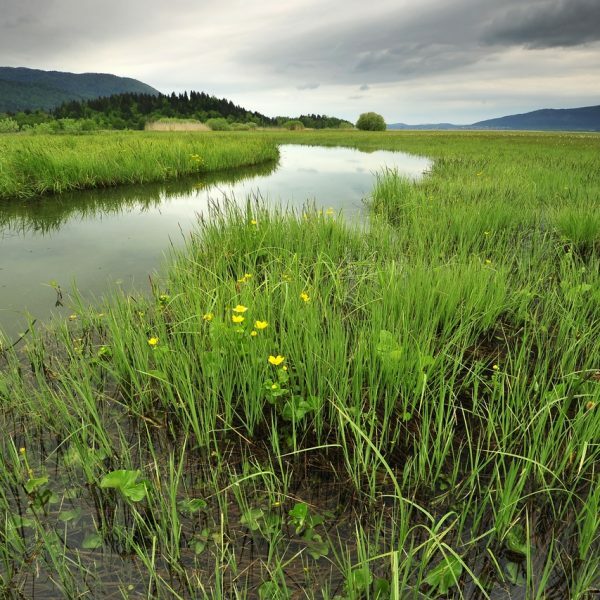 By straightening the riverbeds, the length of the originally meandering streams of Cerknica Lake was reduced by more than a quarter! 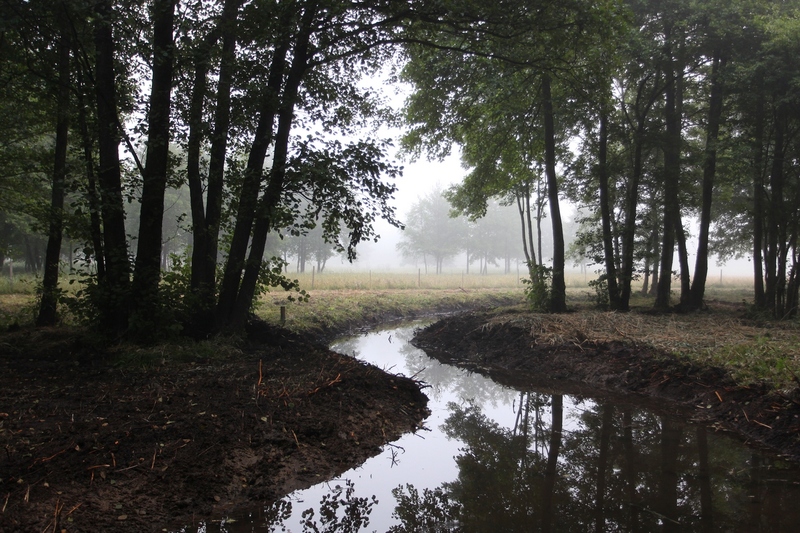 Notranjska Regional Park carried out a pilot restoration of the upper parts of watercourses Goriški Brežiček and Tresenec in 2009. 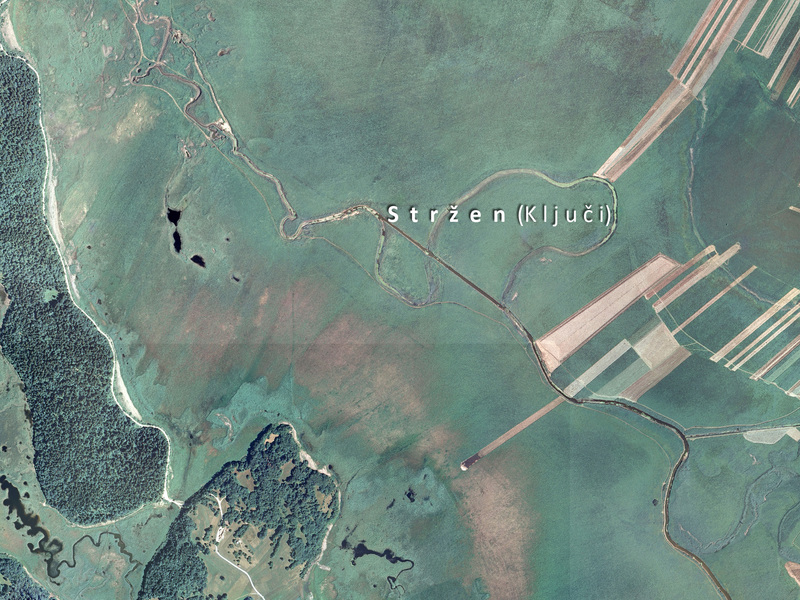 These two watercourses were redirected into their natural meanders with a total length of 1,2 km. 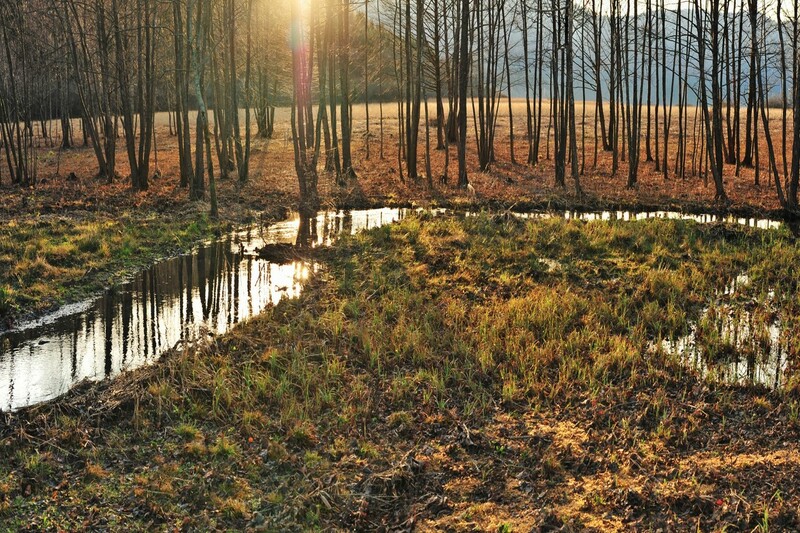 Since then, Notranjska Regional Park has been actively seeking possibilities of financial support to continue the renaturation of the regulated watercourses on Cerknica Lake. We succeeded in 2016, when the LIFE financial mechanism accepted 42 projects out of 260 that were submitted. 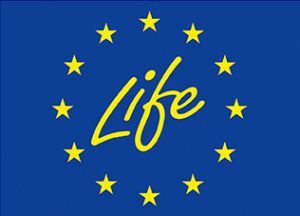 One of them is project LIFE STRŽEN. 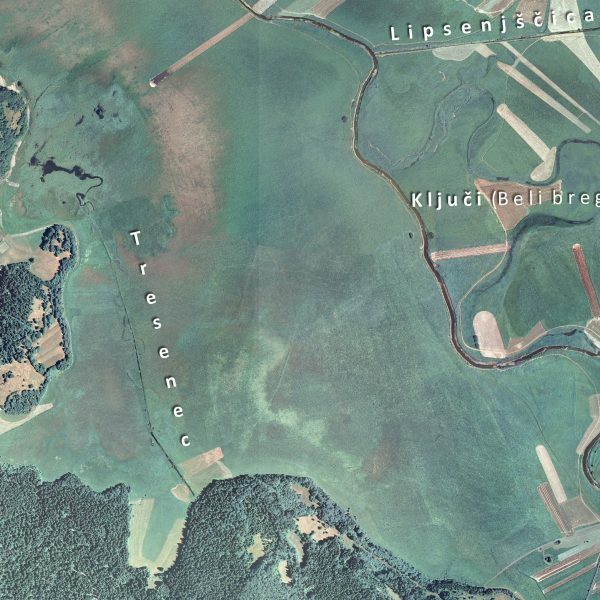 In addition to the LIFE project, which will regulate the watercourse Stržen in the area of Ključi, Notranjska Regional Park also acquired a national grant for the implementation of project KRAS.RE.VITA in 2017. 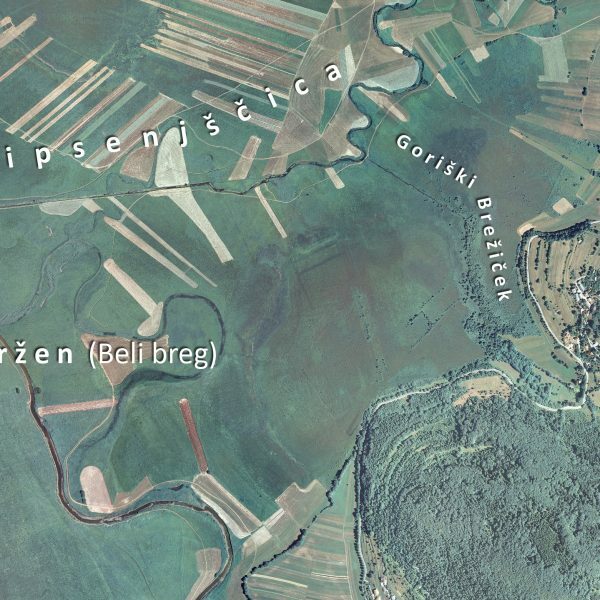 In the scope of this project, the Park will restore the upper part of the Stržen watercourse, known to the locals as Beli breg. 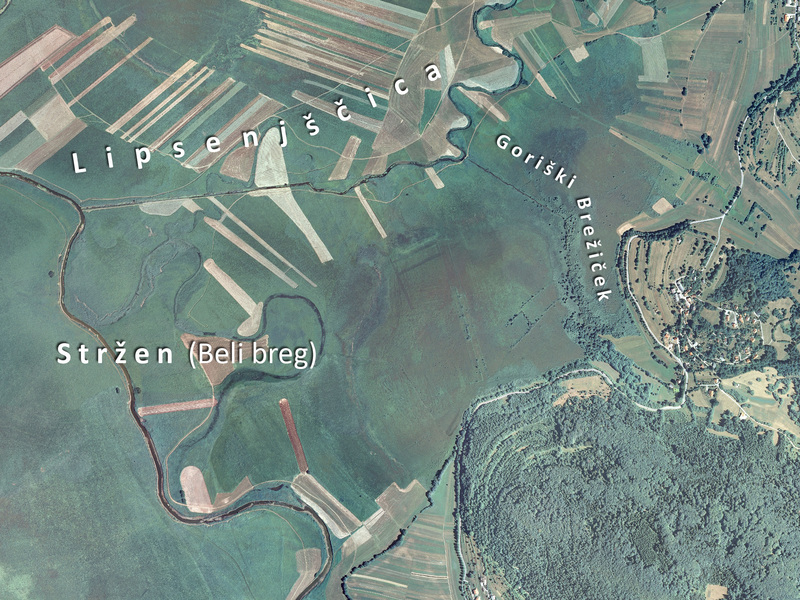 With the already implemented renaturation of Goriški Brežiček and Tresenec and the planned restoration of Stržen in the area of Ključi and Beli breg, nearly half of the regulated watercourses on Cerknica Lake will be returned into their original riverbeds. Our wish is to return the lake to its image from Valvasor’s time and continue repairing the historical injustice that has been done to it. These violations might not be noticeable to one-time visitors to the lake, but the locals, especially the elderly, can tell you that the lake isn’t what it used to be.